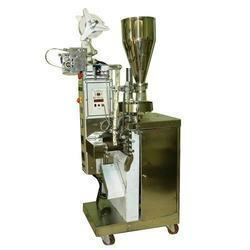 Manufacturer of a wide range of products which include tea packing machine. We are one of the prominent manufacturer and supplier of Packing Machine for Tea Industry. Our Offered range is designed and developed using quality raw material and sophisticated technology by the team of our skilled professionals.